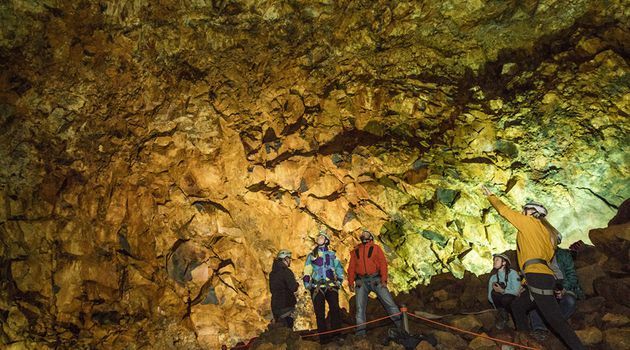 Iceland is a unique destination, so why not use your trip to have an unforgettable, one-of-a-kind experience by descending into the giant maw of a dormant volcano? 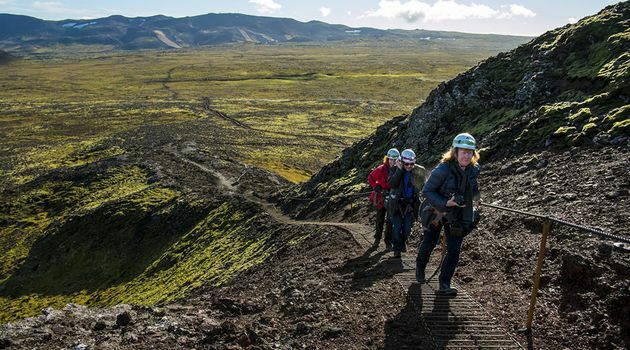 The tour, as promised, takes you inside a volcano, more specifically into a huge crater in Þríhnúkagígar (don’t even try to pronounce this, you’ll only hurt yourself. 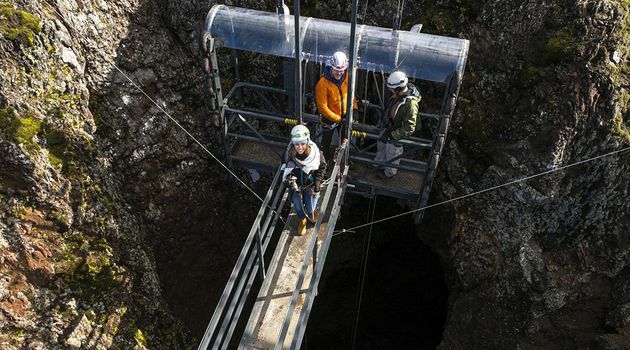 It means three peak craters), a volcano that last erupted about 4000 years ago. 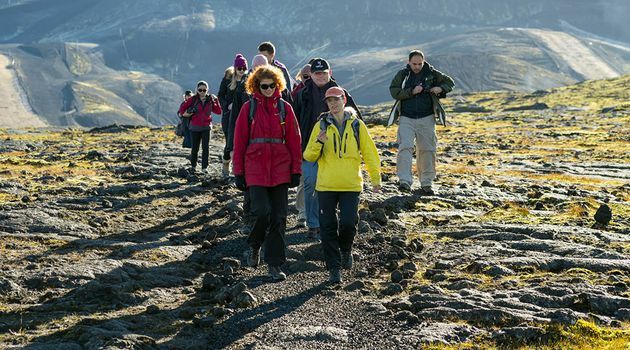 The crater is only a 30 minute drive and a 45-50 minute hike away from Reykjavík. The hike itself is moderately difficult, most of the way is a straight walk with limited elevation, but the last part of the hike is a bit steeper and the way can be uneven at times. 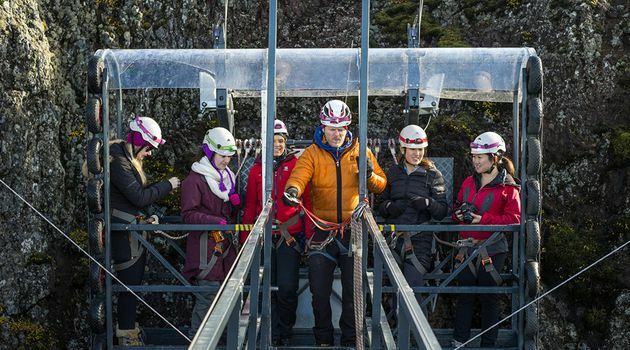 Once you get to the top, the only way is down. 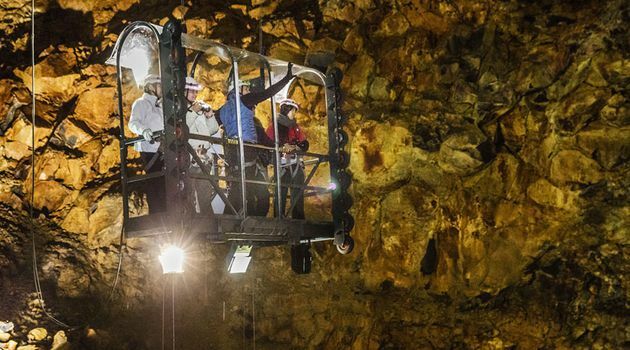 An open elevator, similar to the ones used to carry window cleaners up skyscrapers, take you 700 feet down into the earth. 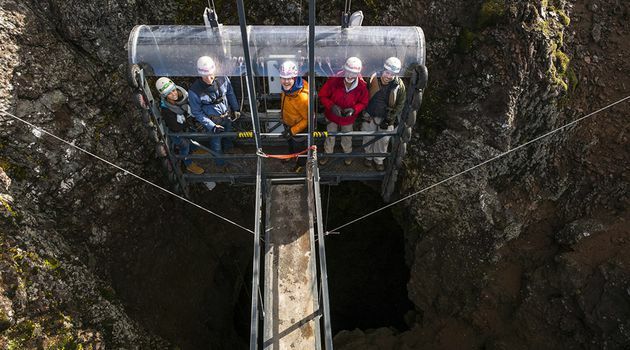 The descent takes around six minutes and the bottle shaped vault, large enough to house the Statue of Liberty, is slowly revealed. The crater itself is indescribable. The photos may be worth a thousand words each, but they still can’t convey the feeling of standing in the naturally shaped dome, surrounded by breathtaking colours and rock formations. 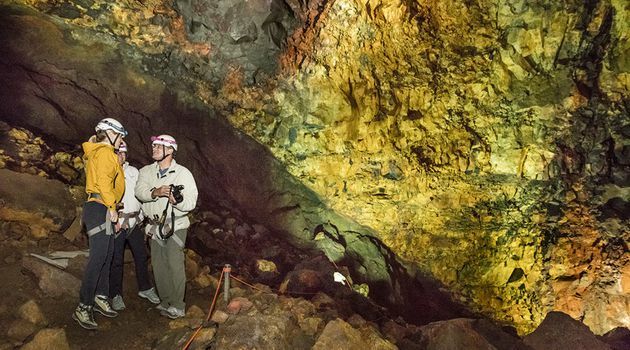 The knowledge that you’re standing inside a dormant volcano adds a whole other layer of awe to the whole experience. 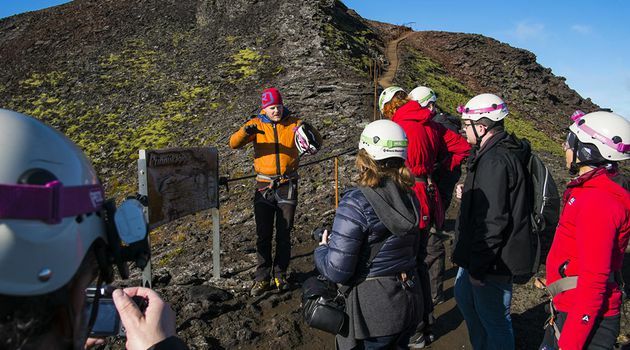 Bring hiking boots and warm clothes, since it gets cold inside the crater, and prepare for a transformative experience! Pick-up at your hotel in Reykjavik. All safety gear, helmets, harnesses, etc.